An important part of traveling is exploring the region’s hallmark — its traditional cuisine. For many travelers this experience is often a good reason to return to places they have already visited. Every year culinary tourism attracts more tourists ready for new discoveries. Gourmet & Wine Travel exhibition within OTDYKH is a platform for presenting gourmet opportunities of different countries and regions. 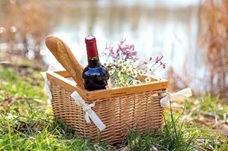 Food &wine tours organizers, wineries, manufacturers of authentic products, and gourmet regions will take part at the show. Culinary tourism is one of the highlights of OTDYKH business programme. 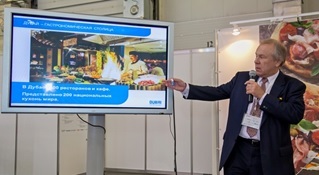 “Tasteful Journey” is a series of 12 cooking master classes — a unique interactive form of culinary destinations promotion among industry experts and direct clients, affordable for every OTDYKH exhibitor. The participants cook national dishes with the invited chefs, and rediscover regions and destinations watching the presentations of the partners. Cooking master classes are organized with a support of “BreadSalt” magazine and culinary studio. OTDYKH 2016 organizers and “BreadSalt” have jointly prepared a package of advertising opportunities for presenting gourmet destinations and promoting culinary tour operators on the pages of the popular magazine and cooking portal. Russian tourists can start discovering culinary subtleties of the regions on the pages of the specialized supplement to the September issue of “BreadSalt” magazine and on www.breadsalt.ru long before the show.